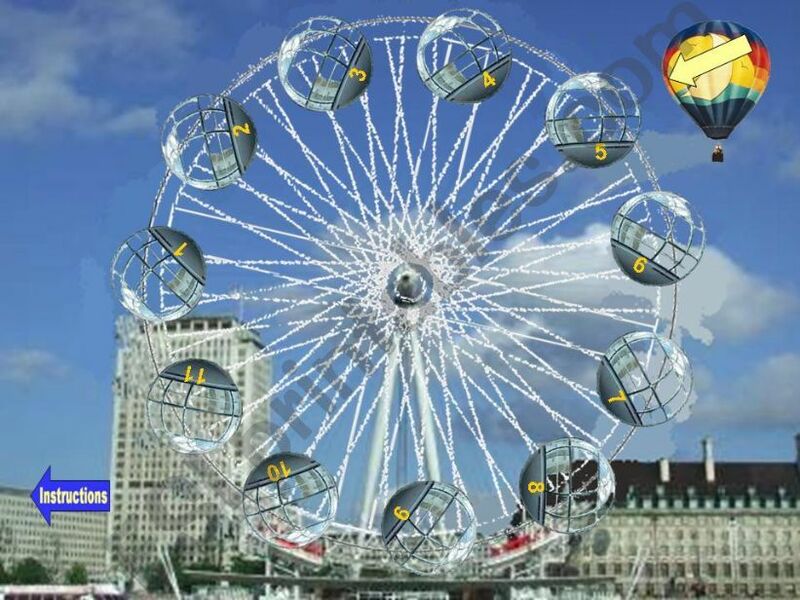 Have a ride on the London Eye and look around what you see. Learn about the London sights some interesting facts and try to guess before you check your knowledge. Or you can use it as an introduction to London as well if you prefer. Altogether 11 sights in this part. Instructions in the 2nd slide. Have fun. 2nd part also uploaded today. Wow!!!! I´ve just tried this power point and I have no words to describe it!It is an excellent work, indeed! Congratulations! This looks fantastic, thank you so much for sharing btoh parts. Thanks a lot for both the parts. Wonderful! Thanks a lot for the whole set! GREAT! MARVELOUS! THANKS FOR SHARING!!! Wonderful to prepare our ride on the London Eye !!! Thank you ! Thank you on behalf of my students. Great job! Wonderful idea!Thanks a lot! Marvellous!It works really great. A neat work, a thorough design, an accurate plan, a great content - just what I´ve been looking for. Excellent work! Thumbs up! Thank you.